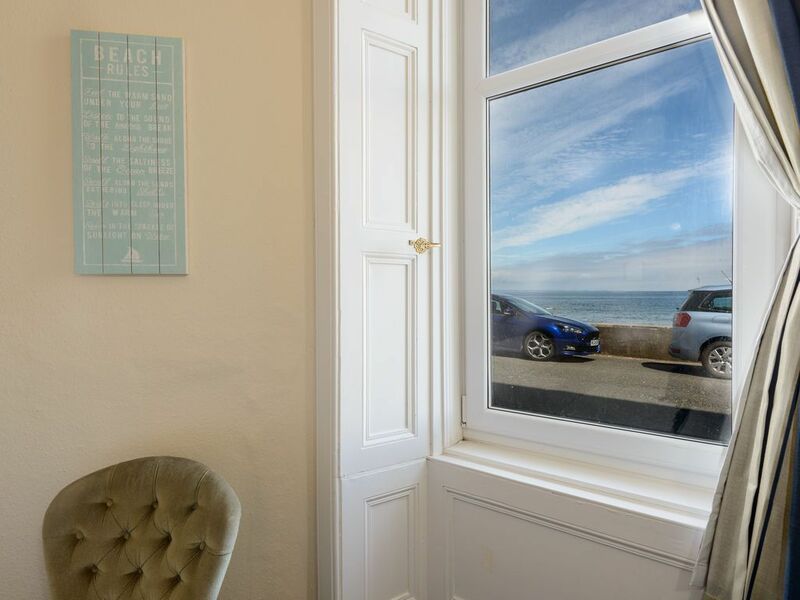 This two bedroom, ground floor, pet friendly apartment, is as close as you can get to the beach without getting your feet wet! 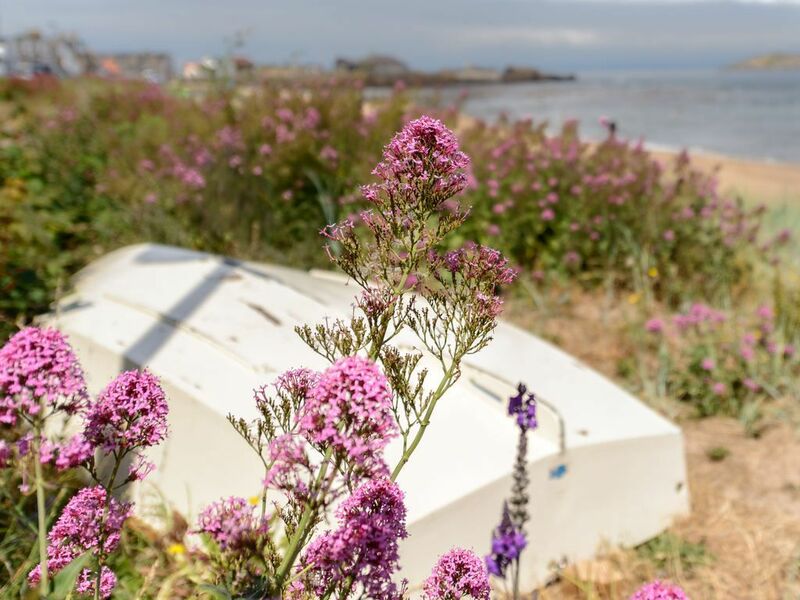 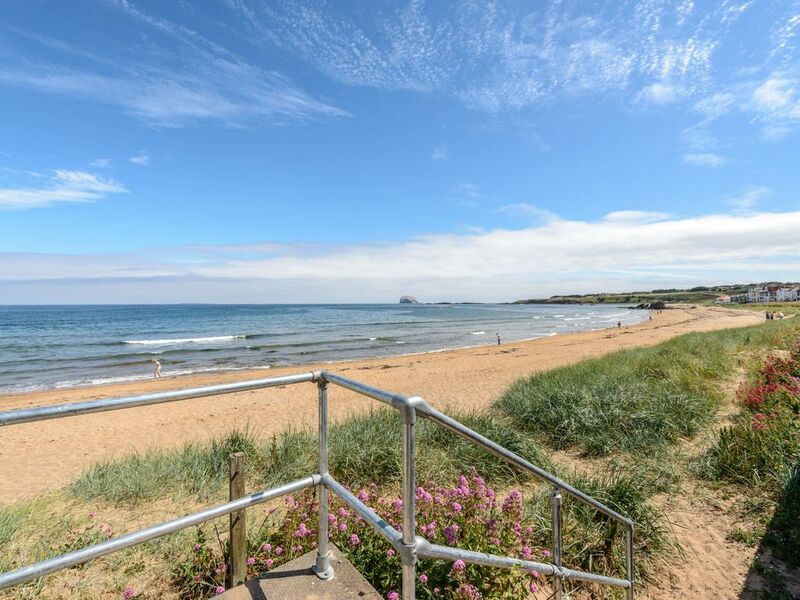 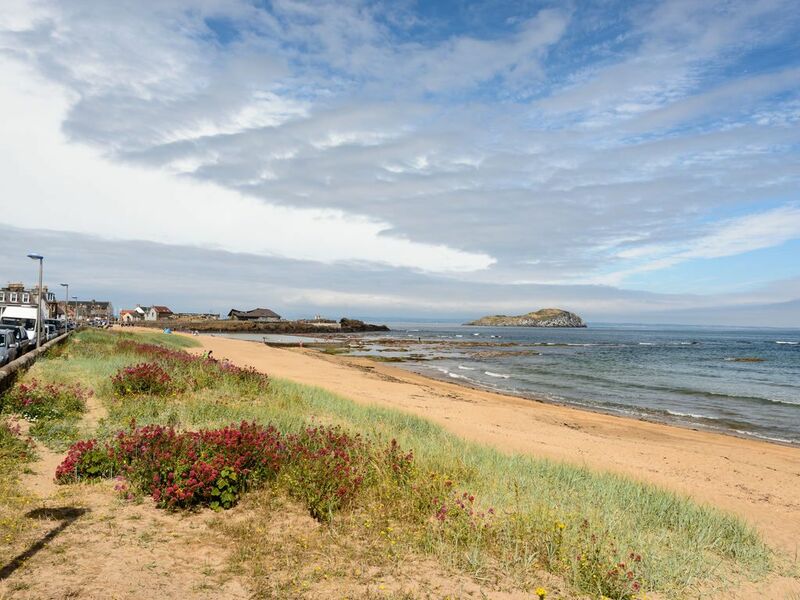 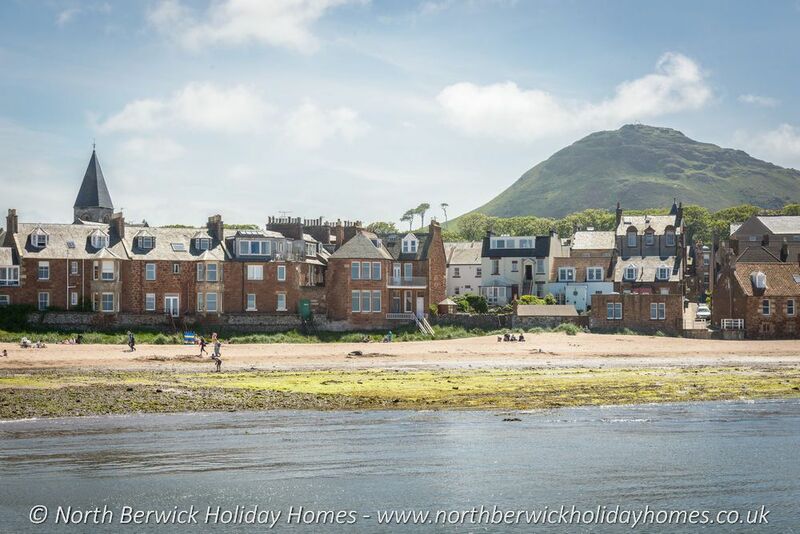 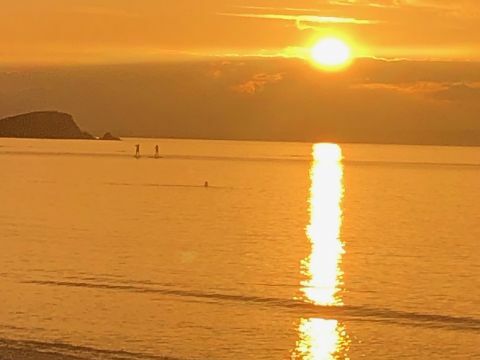 With stunning views of the Bass Rock, this cosy apartment is an ideal holiday base to make the most of North Berwick’s East Bay beach’s golden sands and its child-friendly boating pond. 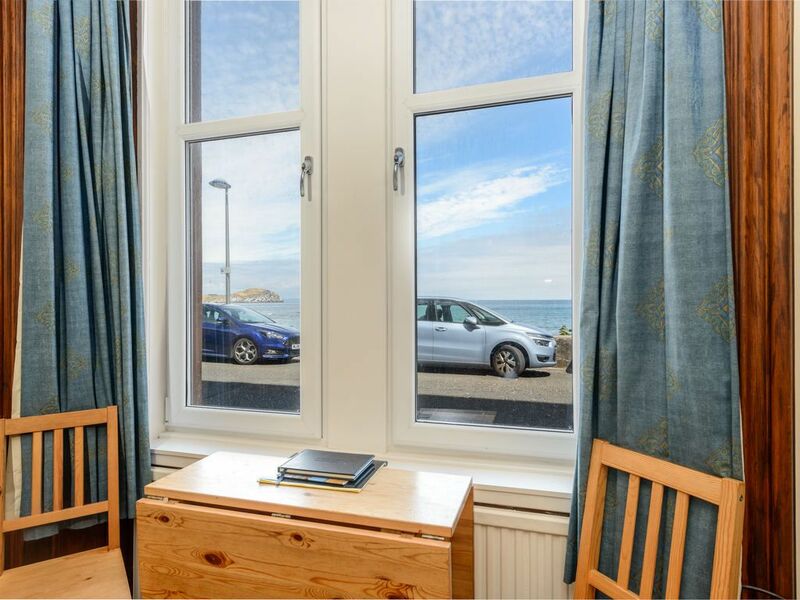 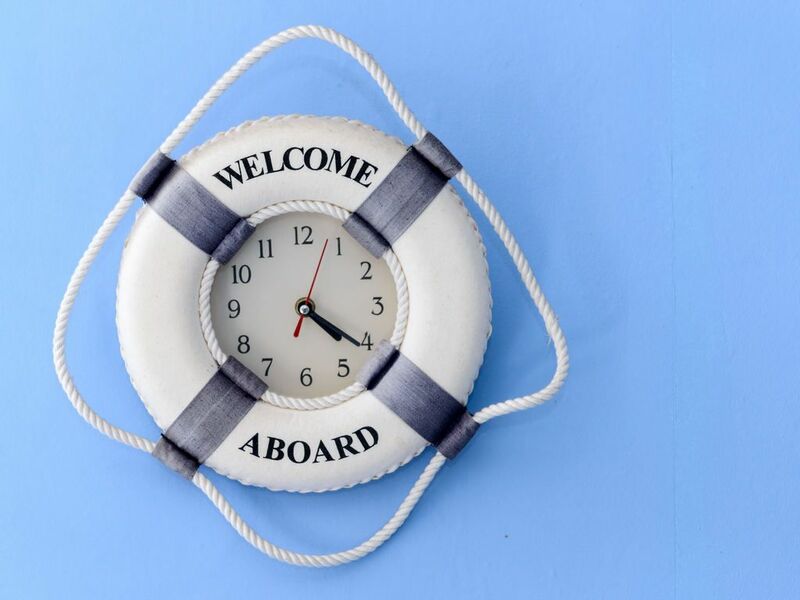 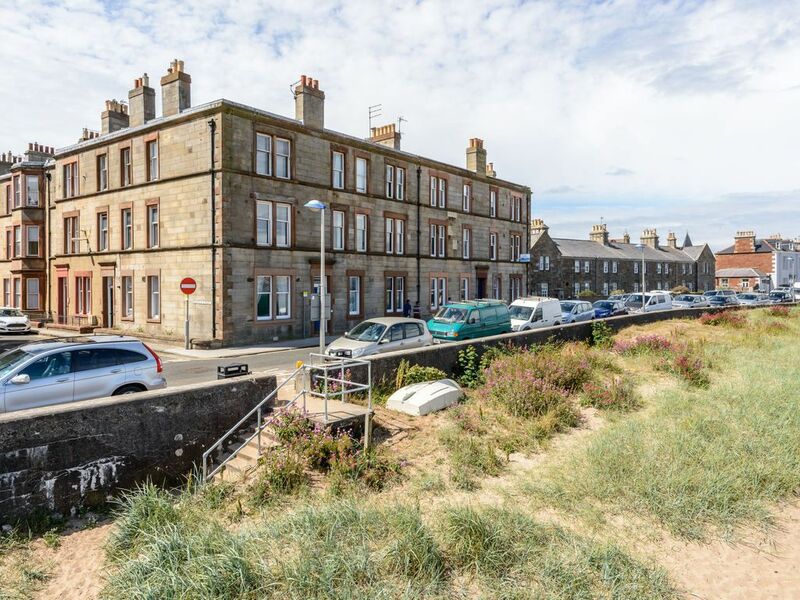 The apartment is less than five minutes walk from the award winning Scottish Seabird Centre, harbour area and town centre with a great variety of shops, restaurants and cafes. 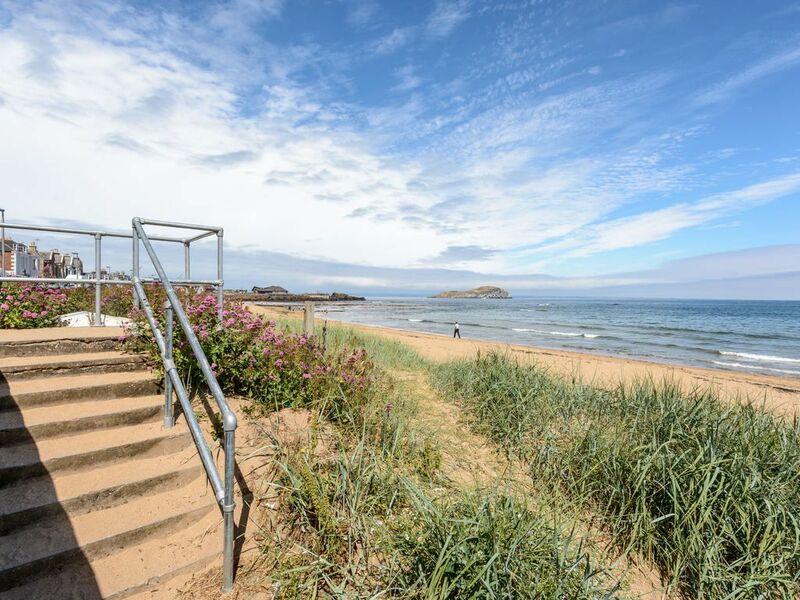 It is an easy walk to the railway station for the short journey to Edinburgh to explore the delights of the capital and beyond. 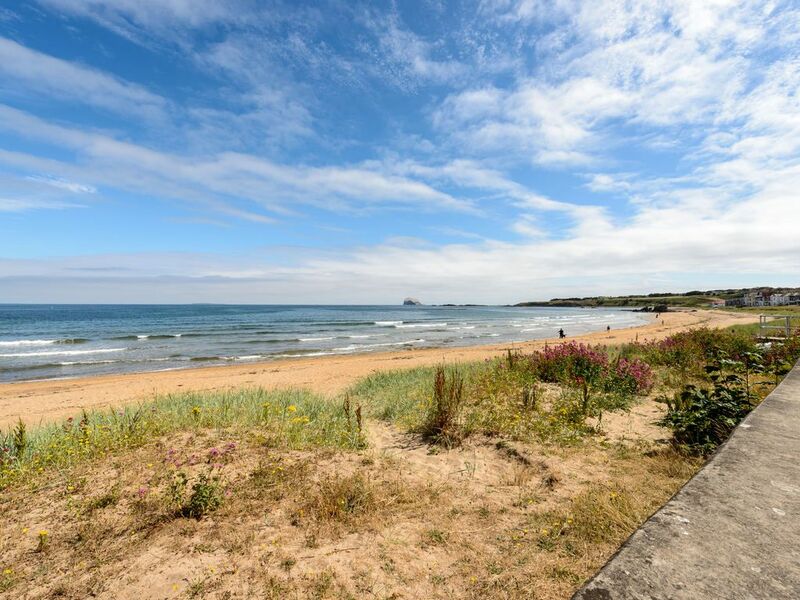 World-class golf courses are close by for serious or social players. 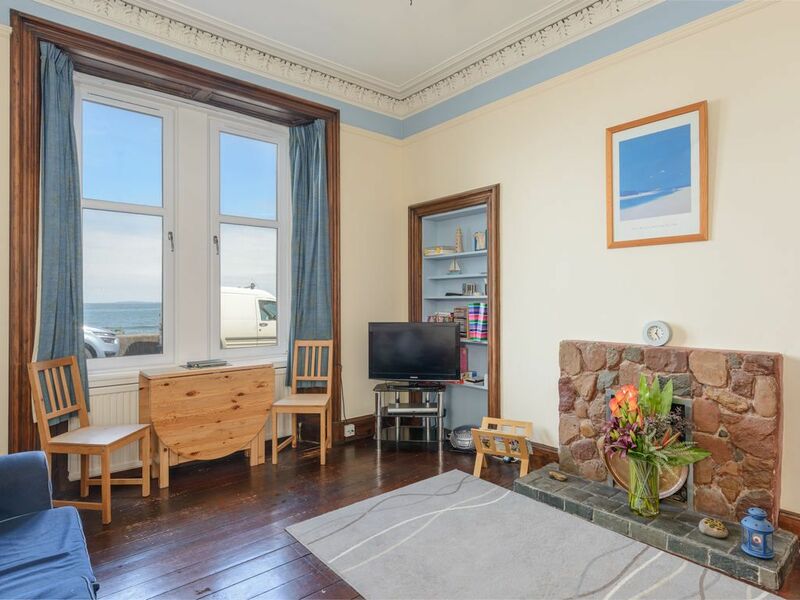 The lounge/dining room, with its feature windows looking out to sea, has a three seater sofa, three seater sofabed, TV and DVD, and an extendable table with seating for eight. 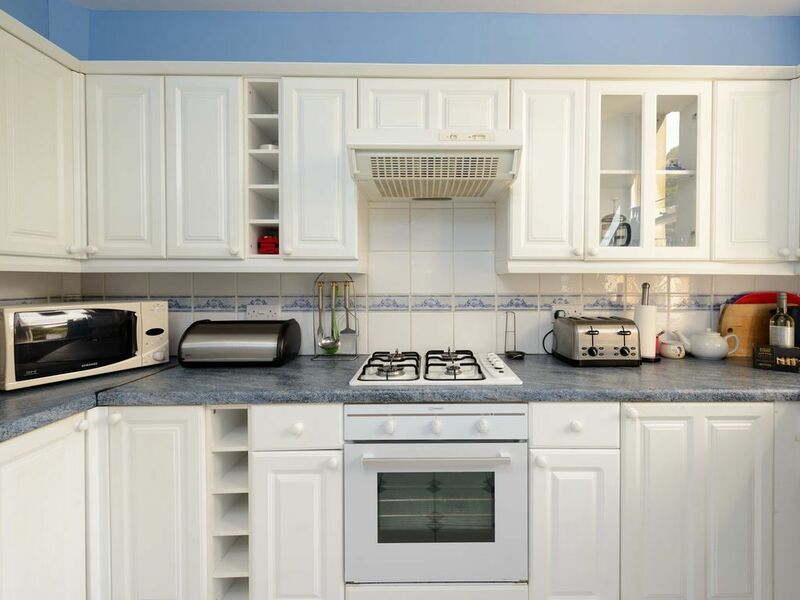 The kitchen is fully equipped including a large fridge/freezer, a washer/dryer, plenty of storage space and a microwave. 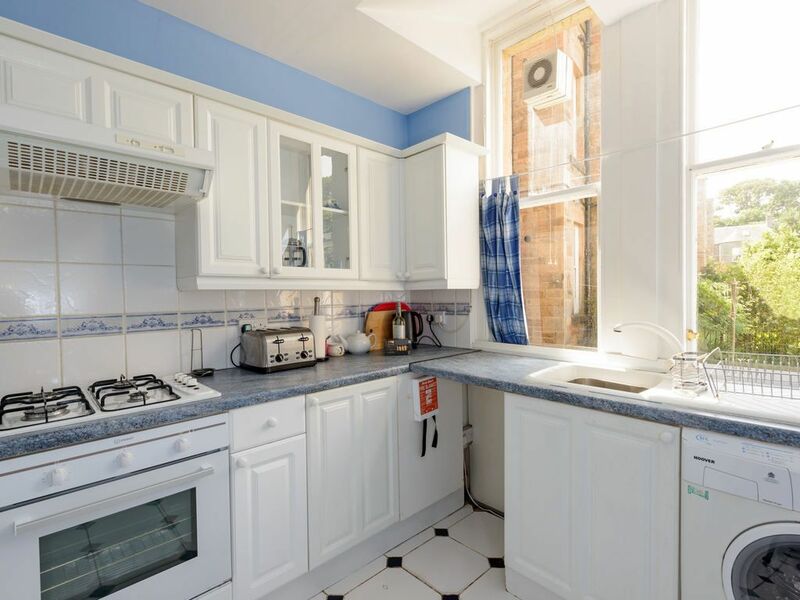 The kitchen overlooks a sunny garden to the rear. 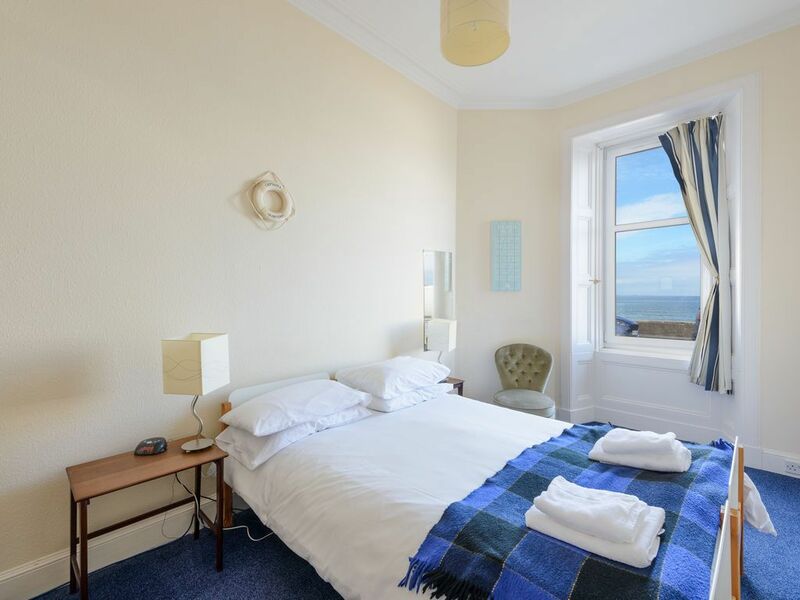 The main bedroom has sea views and a double bed, chest of drawers and nearby hanging space. 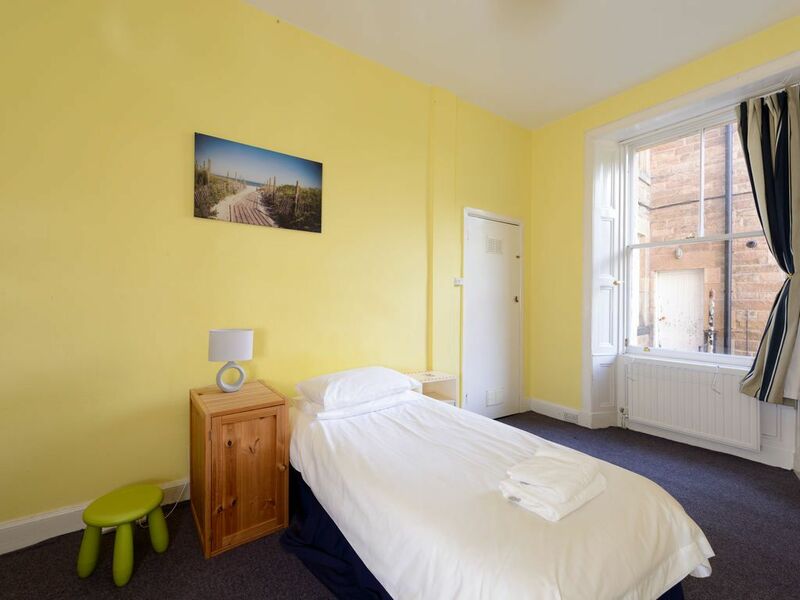 There are full sized bunks and a single bed with pull-out bed in the second bedroom to the rear and plenty of storage space. 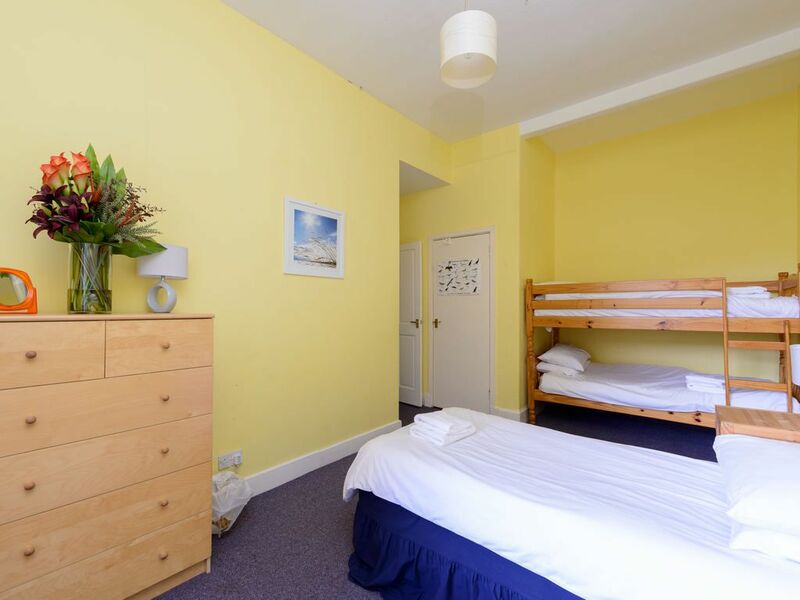 If you wish to use the pull out bed and want linen please add at the time of booking, small additional charge applies. 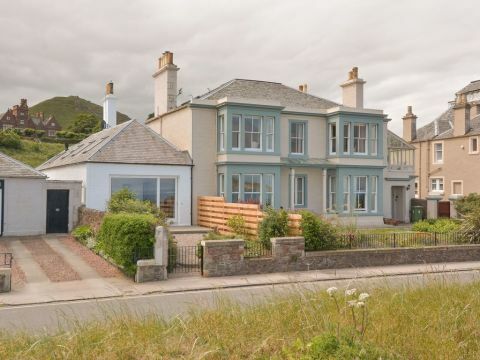 Please note this property takes a max of 4 adults and 2 children. 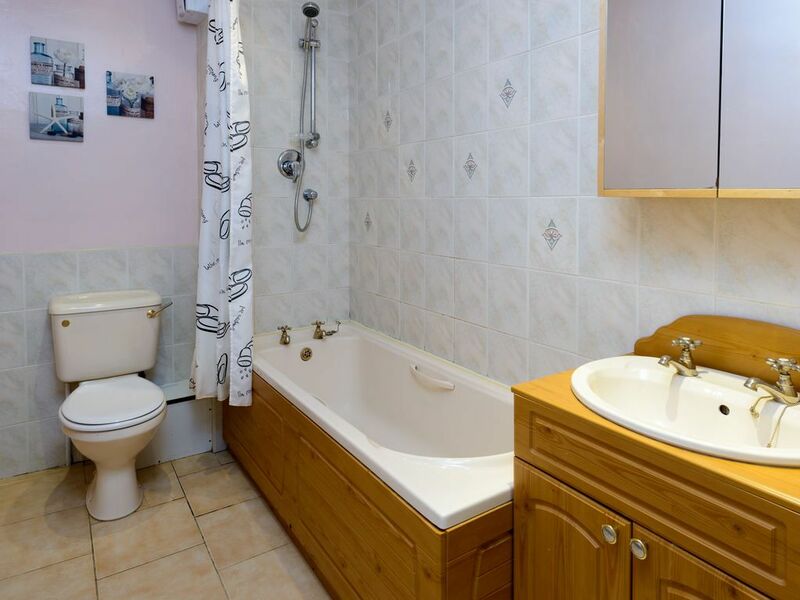 The apartment has gas central heating and WiFi. 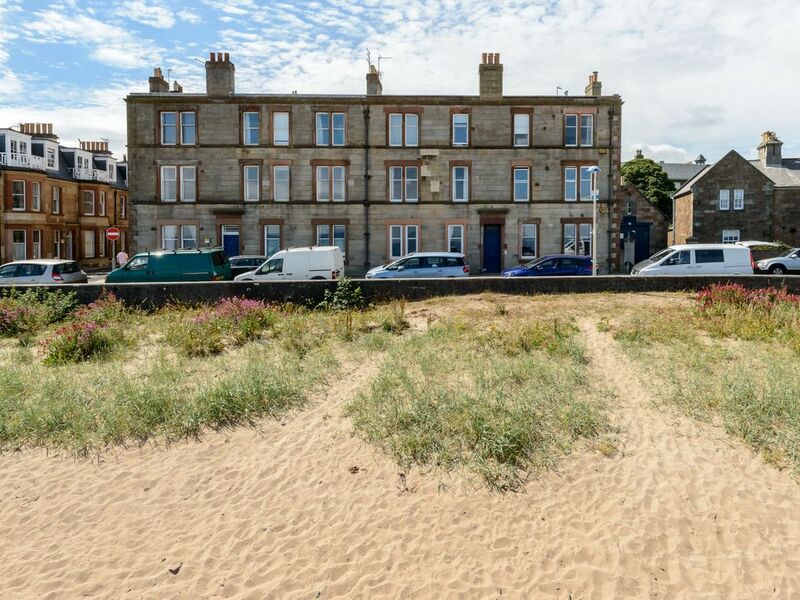 Parking is unrestricted on the street. 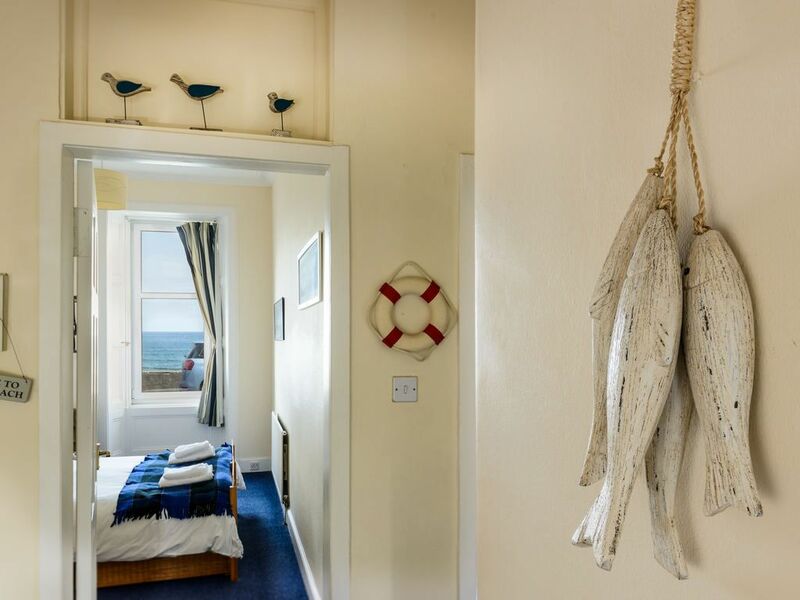 A well behaved dog is welcome at an additional cost, please add to your booking. 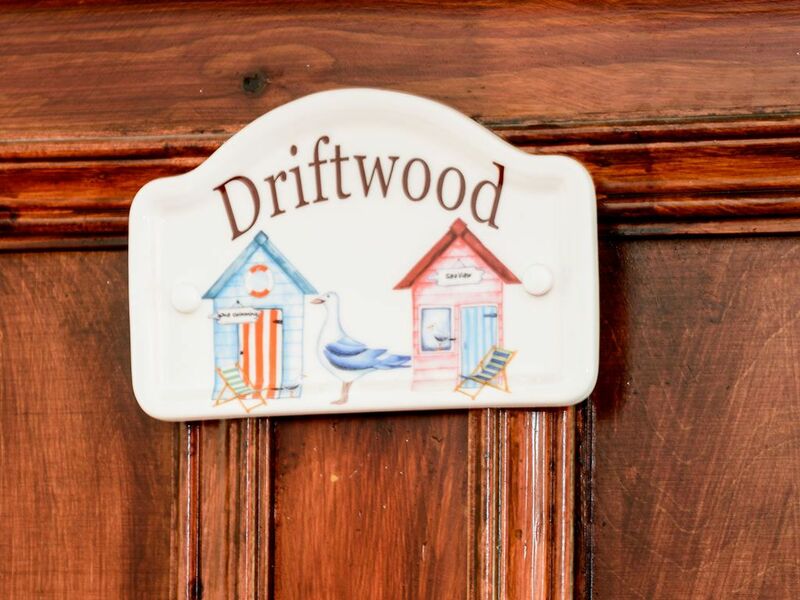 ‘Driftwood’ is recommended for beach loving families, couples, singles or anyone who wants to gaze out to sea at the ever changing light and waves.